Starting your tall fescue lawn with The Rebels® Brand premium seed gives you complete control to create a lawn that perfectly suits your needs. Follow best practices for tall fescue seeding – from seed selection through post-planting care – and you'll start your lawn on the path to outstanding resilience and beauty. One of the important aspects of seeding your lawn happens before you ever lift a tool. Your lawn is only as good as the seed you grow. Turf-type tall fescues can produce a high-performance, low-maintenance lawn that you can take pride in. Choosing high-quality tall fescue grass seed such as The Rebels® Brand Tall Fescue Blend helps ensure you get outstanding turf-type varieties you can count on for success. The Rebels® Brand Extended Root Seed Varieties offer added advantages beyond the benefits of a turf-type tall fescue lawn. Developed through extensive research and innovations, these varieties grow up to 40 percent more roots at deeper depths than ordinary grasses. With added resilience, these high-performance varieties position your lawn to thrive under conditions that cause other grasses to struggle and fold. When your lawn includes areas with limited sun, selecting shade-tolerant seed can make the difference between failure and success. The Rebels® Brand Shade Mix for tall fescue lawns combines shade-tolerant turf-type tall fescues with fine fescues, the most shade tolerant cool-season lawn grasses. In tough southern climates, varieties with superior heat and drought tolerance, such as The Rebels® Brand Southern Classic Blend and The Rebels® Brand Southern Classic Shade Mix put your tall fescue lawn in a new league. Timing your seeding to correspond with tall fescue's natural growth cycle optimizes every aspect of your seeding project. As cool-season grasses, tall fescues establish best during late summer to early fall when cool weather supports vigorous growth. Early spring offers the second best planting time for tall fescue seed. Tall fescue germinates best when soil temperatures near 60 to 65 degrees Fahrenheit. For fall seeding, wait for soil to cool to this range. Hold spring seeding until soil warms. By planting during these optimal seasons of cool temperatures and strong growth, you also take advantage of fall and spring rains. That means less supplemental watering and less labor for you. Proper soil preparation is key to your seeding success. 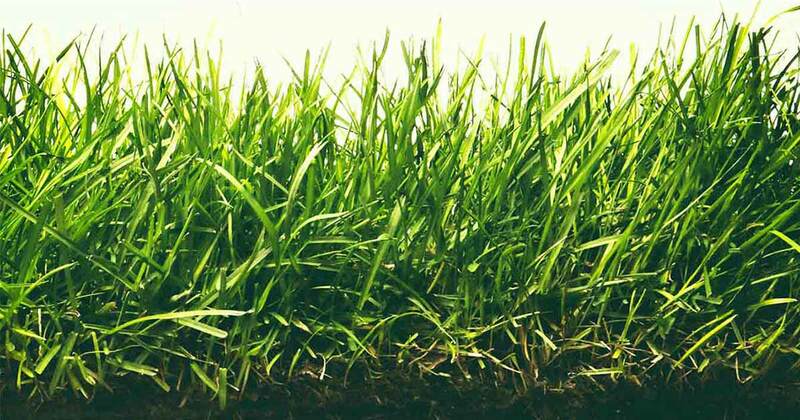 Your tall fescue lawn's health and future performance depend in large part on your soil and the availability of its nutrients, including those added through fertilizer. Doing soil tests before you seed reveals your starting point for soil improvement and grass nutrition. Soil testing confirms your soil pH, organic matter and other measures. Reputable soil laboratories will provide detailed recommendations on starter fertilizers and soil amendments to benefit your future lawn. Follow test recommendations. They help ensure the thick, healthy, vibrant lawn you've planned. Early site preparation focuses on removing weeds and unwanted grasses. If you have existing turf, removing it with a sod cutter is one option. Non-selective herbicides, which kill both broadleaf plants and grasses, offer another approach. Many herbicides require multiple applications and significant waiting periods before you can seed, so time early site prep appropriately. For final site prep, rake the area to create a flat, level planting surface. Fill in any low-lying spots where water could accumulate and cause drainage problems. Correct grading issues that could complicate mowing or send water toward your home instead of away. A gentle grade that drops about 1 foot per 50 feet should drain well without draining too fast.1 If your property has steep grades, consider professional advice to avoid erosion and potential mowing problems. Newly planted seed requires consistent moisture and care. Quality seed products provide accurate seeding recommendations for best results. To get the most from your tall fescue seed, follow the label guidelines for seeding rates. New lawns require about twice the amount of seed needed to overseed a thin, existing lawn. Seeding at rates higher or lower than label recommendations wastes quality seed and labor. Take time to measure your seeding area correctly. Subtract for your home and other buildings, and calculate seed and spreader settings accordingly. For precision seeding or lawns less than 5,000 square feet, consider a drop spreader. For larger lawns or less precise seeding, a broadcast or rotary spreader works well. 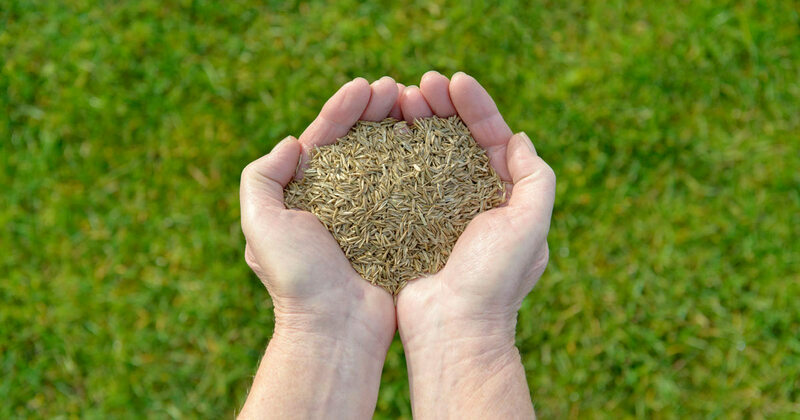 Once your tall fescue seed is down, rake it in so 1/4 inch of soil covers the seed. This allows for the right amount of protection and light penetration. Then roll the area with a lawn roller to ensure good soil-to-seed contact. Grass seed requires consistent moisture for germination and establishment. Proper watering is critical to seed success. Irrigate newly seeded areas frequently, so the top 1 inch of soil remains moist.1 This may require several waterings per day as tall fescue seed germinates over seven to 21 days. Avoid all weed control products until you mow your new planting at least three times. Protect new fescue lawns against heavy foot traffic, including children and pets, as seed becomes fully established during its first growing season. When you combine high-quality, high-performance, turf-type tall fescue with best practices for planting seed, you lay the foundation for a beautiful, durable, resilient lawn. 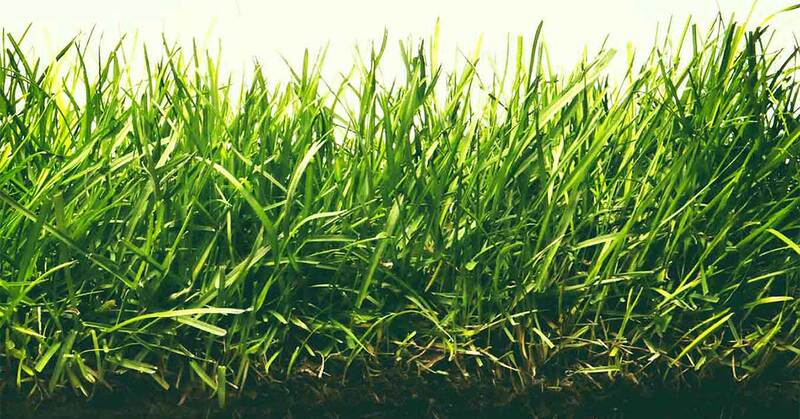 The Rebels® Brand is dedicated to providing you with the finest in tall fescue grass seed and helping you enjoy the best tall fescue lawn possible. The Rebels is a trademark of Pennington Seed, Inc.
1. A. Patton and J. Boyd, “Seeding a Lawn in Arkansas," University of Arkansas Cooperative Extension Service. Rebels is a high performance, low maintenance Turf-Type Tall Fescue with varieties that perform well in heavy traffic areas, as well as sun and shade.